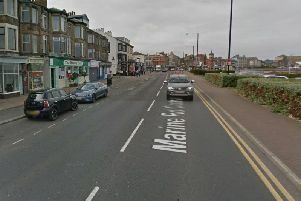 Strand Road in Preston has been named as one of the most congested in Lancashire. Lancashire business leaders have weighed into the debate about Britain’s congested roads. A major new report said the UK could afford to lose around 80 per cent of traffic lights that cause unnecessary delays which cause a loss of up to £16 billion a year. And with almost daily problems on the M6 through Lancashire last week, the debate about roads congestion and safety has reared its head again. Babs Murphy, chief executive of the North & Western Lancashire Chamber of Commerce. said: “Traffic congestion is an issue that continues to be a massive headache for the business industry. “It costs billions of pounds per year to British industry with huge costs incurred to companies in terms of deliveries and delays. Major improvement schemes are ongoing in the county. That includes the massive M6 Heysham link road , which when finished should take off much of the pressure on Lancaster city centre. And work has finally started on the Broughton-bypass. Research by the Institute of Economic Affairs found the found that just a two-minute delay to every car journey equates to a loss of approximately £16 billion a year. The think tank notes that successful schemes in Drachten in the Netherlands (in 2002) and Bohmte in Germany (in 2007) ended with the scrapping of over 80 per cent of their traffic lights. “Together with the Portishead experiment, this suggests a broadly similar proportion of signals could be removed in the UK, ” added the report.